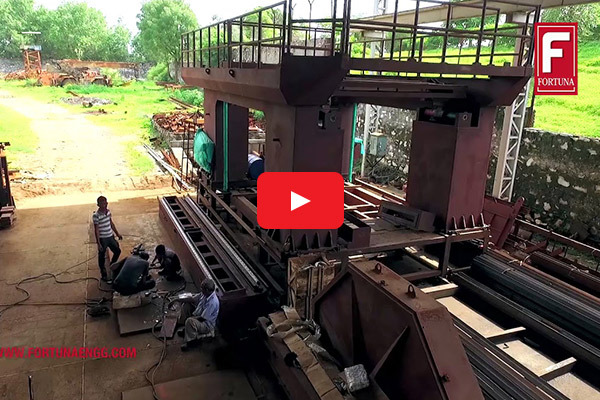 The Gang Saw Structure is built by high quality steel consisting of four Pillars Fabricated with heavy plates and are duly connected and welded with Cross Beam to ensure maximum stability and protecting mechanical impact which it is subjected to during sawing of the marble blocks. The reciprocating motion is governed by hard chromed piston with gun metal bushes. It prevents miss alignment and vibration of the blade holder frame. The blade holder frame is moved by DOUBLE CONNECTING RODS which are placed in the blade holder frame moves perfectly rectilinear without any deviation. THE BLOCK TROLLEY PLATFORM a fabricated structure made out of heavy plates, situated between four pillars and is lifted by LEAD SCREW and heavy duty G. M. LEAD NUTS are attached to every pillar. The lead screws work simultaneously which are synchronized with lay shaft and chain system and are coupled to auxiliary motor and reduction gear box with the trolley platform lifting on TWO PRISMATIC AND TWO VERTICAL SLIDE WAYS, which are hard chrome plated giving protection against rust and ensures durability. 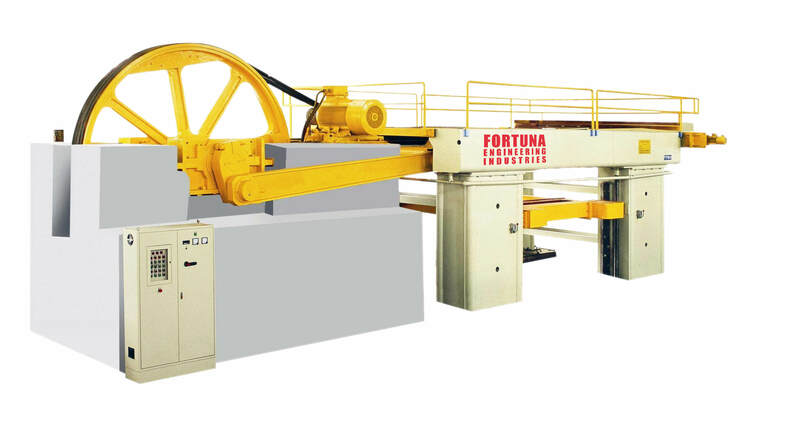 The transmission pulley reduces the angles of belts thus increasing the contact surfaces as well as reducing the speed between the motor shaft and fly wheel. All components such as lay shaft, chain, lead screw feed, fast up and down mechanism are covered to protect from water and falling materials.